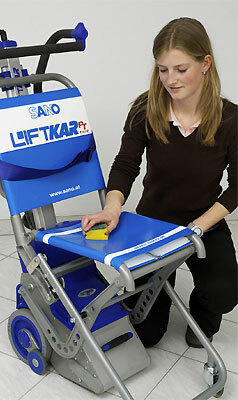 Liftkar PT Fold stairclimber has a washable seat covering that can be wiped clean and easily removed altogether simply by undoing a zip. This stairclimber is not equipped with armrests but with a headrest and a safety belt. 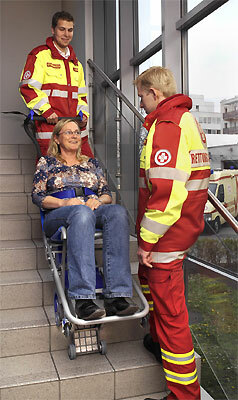 It is very narrow (with the wheelbase of only 297 mm) and very compact, it can be used even on very steep or winding stairs as well as during transport for example in ambulance-cars.